All your finished projects are beautiful! I really would love to do a bag like this tote you designed. I'm an adventurous beginner, so I'm not sure if I'd be able to, but I'd sure like to try! I LOVE your bag... 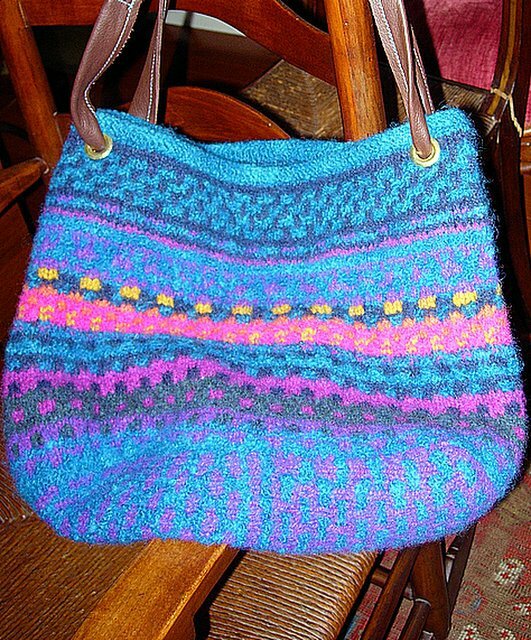 I covet this bag... where can I find the pattern?